After 16 seasons, Manu Ginobili just announced his retirement with the San Antonio Spurs. Ginobili wrote a heartfelt letter to his family, friends, teammates, coaches, staff and of course his fans he touched in the last 23 years of his career. With Ginobili announcing his retirement, he was the last player of the Spurs dynasty. We can only see what the Spurs can do from hereon. Let's take a look at the top 10 impossible shots of Manu Ginobili. 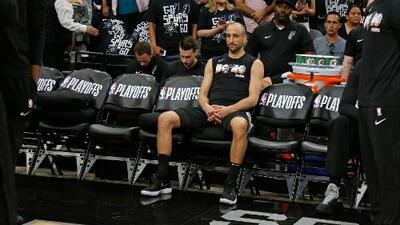 Spurs teammates gives thanks to Manu Ginobili on Twitter.